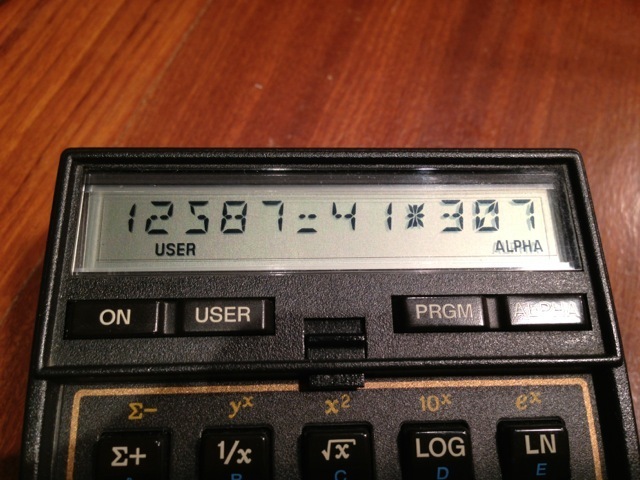 HP 41CL: the last development of the best calculator ever! These days I am like a child with a new toy. 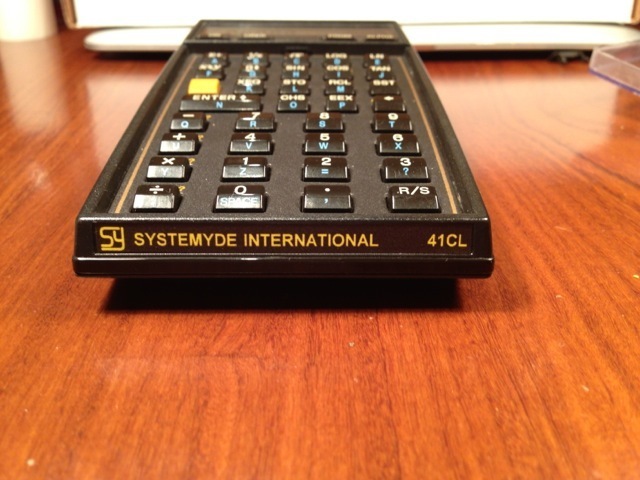 I am using the HP 41cl designed by Monte Darymple. It consists of a small circuit that substitutes the processor board in a Fullnut HP 41c. In later production, the twin circuit arrangement was superseded by a single circuit that contained all electronics. These latter 41s cannot be upgraded to CL status. Some of you have been using the HP-41c/cv/cx in your past. You probably remember it as an engineering feat: it really was a computer in your hands. It could interface with the world: printers, reading wands, card readers, multimeters, and, above all, a world of software loaded in the ROM modules that were sold by HP or third parties. 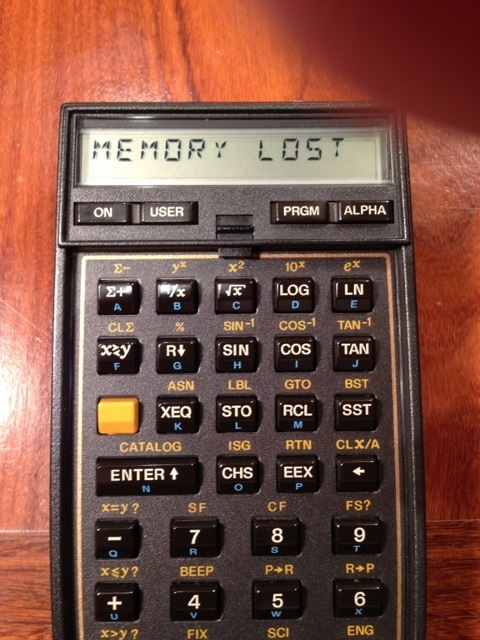 You probably lusted after the calculator at the beginning, and once you had it, you lusted after the peripherals, and the ROM and RAM modules. Such modules now reach outrageous prices in EBay and other auction websites. As the mod is quite simple, I would invite you to try it for yourself. I promise you it will revive your ’41c and make you forget your newer calculators. If you do not dare to try surgery with your loved calc, we offer to do the mod for you, for 379 € (module, VAT and import duties included). We can provide a complete calculator, assembled and tested, for 500 €. We can supply pictures of the “donor” on demand. There are additional options, like serial interface, that you may see in the web page. Some of you have been using the HP-41c/cv/cx in your past. You probably remember it as an engineering feat: it really was a computer in your hands. It could interface with the world: printers, reading wands, card readers, multimeters, and, above all, a world of software loaded in the ROM modules that were sold by HP or third parties. You probably lusted after the calculator at the beginning, and once you had it, you lusted after the peripherals, and the ROM and RAM modules. Such modules now reach outrageous prices in EBay and other auction websites. Based on a humble Fullnut HP-41c, modified with Monte’s circuit, you have access to nearly all the available modules. It comes with all the RAM the system can manage, and with ROM modules that can be plugged at will in any port (with some incompatibilities that existed as well in the original). What’s more, you can still plug physical peripherals, like HP-IL, printers, infrared modules and others. And everything, at a selectable speed up to 50 times faster than the original! It works with all peripherals - even the infrared. As the mod is quite simple, I would invite you to try it for yourself. I promise you that it will revive your ’41c and make you forget your newer calculators. If you do not dare to try surgery with your loved calc, we offer to do the mod for you, for 379 € (module, VAT, assembly, testing and import duties included). 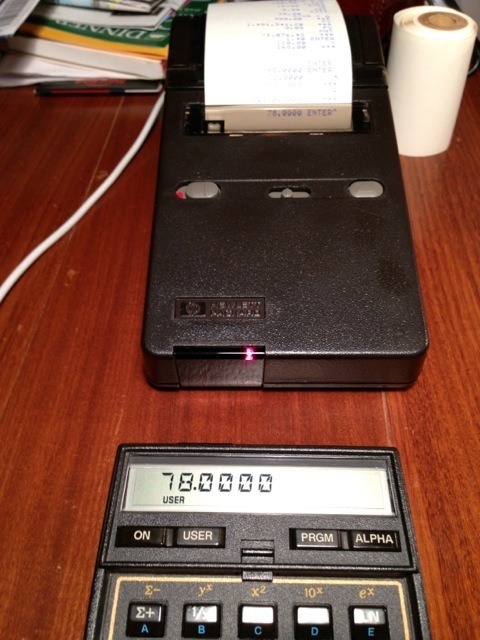 We can provide a complete calculator, assembled and tested, for 500 €. We can supply pictures of the “donor” on demand. There are additional options, like serial interface, that you may see in the Systemyde web page. I now need to leave you: for the first time, I am learning all the features of the Sandmath module, installed on virtual port 3. Decomposition in prime factors, PFCT, from latest Sandmath module.